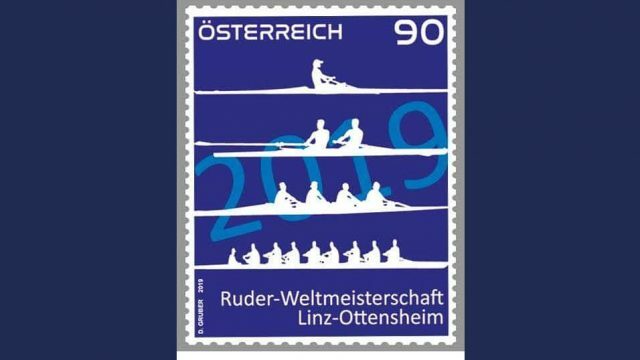 The international rowing event taking place in Linz-Ottensheim from 25 August – 1 September 2019 is reason enough to go dowin in the history of philately. This summer, the Austrian post releases a special stamp dedicated to the 2019 World Rowing Championships. Stamps of mass sport events are rich in tradition and the 2019 World Rowing Championships are becoming part of it. The special stamp inlcuding first day postmark will be released on 26 August on the regatta venue Linz-Ottensheim. Therefore, a post office will be installed in the Entrance Tent. After, the stamp will be available in all post offices.